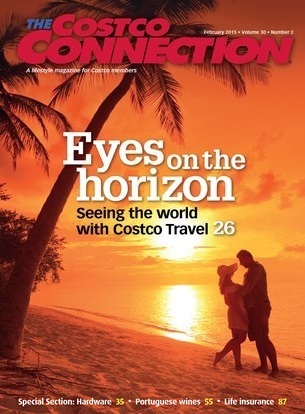 I was going through the February 2015 issue of my Costco Connection magazine which happens to be a special travel edition. Not only does Costco offer great deals on everyday products, but they have some pretty good travel deals on vacation packages as well. It's not too late now to start planning your summer vacation. The kids will be out of school, and you still have a few months to plan the perfect cruise or trip. Don't wait until the last minute and book a trip for you and your family with this Costco travel deal package whether it's a vacation to Mexico or the Dominican Republic. You'll be able to go to another country and enjoy the warm weather and the amenities these resorts have to offer. The kids will definitely love it! Feb 2015 Costco Connection Magazine.